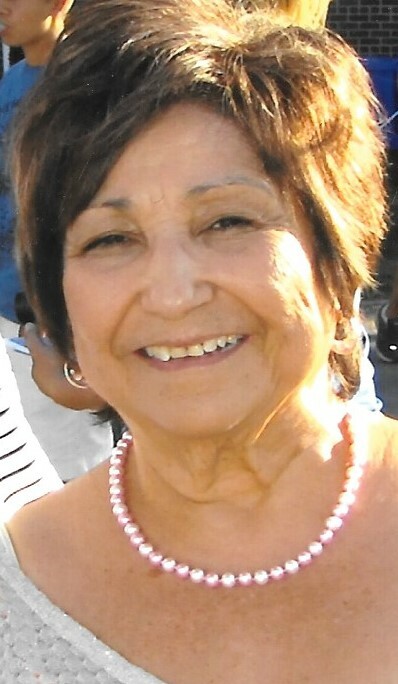 Mary E. Espinoza, 70, passed away April 3, 2019. She was born May 6, 1948, to Juan and Balbina Orosco in San Antonio, Texas. She married Danny Espinoza in Ogden, UT on October 23, 1965. Mary retired from HAFB in March 2018 after proudly serving 36 years of Federal Civil Service. She was a devoted wife, mother, and grandmother. She was the heart and soul of her family. Mary enjoyed traveling, especially the many cruises she took. She also enjoyed camping and barbecues with family and friends. Mary was a devout member of the Catholic Church her entire life and served in many capacities. She is survived by her husband of 53 years, Danny; her children, Jaime Espinoza of Roy, UT, Tommy (Steph) Espinoza or Riverdale, UT, and Chuck (Jamie Lyn) Espinoza of Clinton, UT; four sisters; four brothers; 10 grandchildren; and five great-grandchildren. Mary is preceded in death by her sons, Jeffery M Espinoza and Danny C. Espinoza; her parents; and two brothers. Family will greet friends on Thursday, April 11, 2019, at Leavitt’s Mortuary, 836 36th Street, Ogden, UT from 6:00 – 8:00 pm where a Rosary will be recited at 7:00 pm. Funeral Mass will be held at St. Mary’s Catholic Church, 4050 South 3900 West, West Haven, UT on Friday, April 12, 2019, at 10:00 am. Interment will follow Mass at Evergreen Memorial Park.